All about your LOVE. 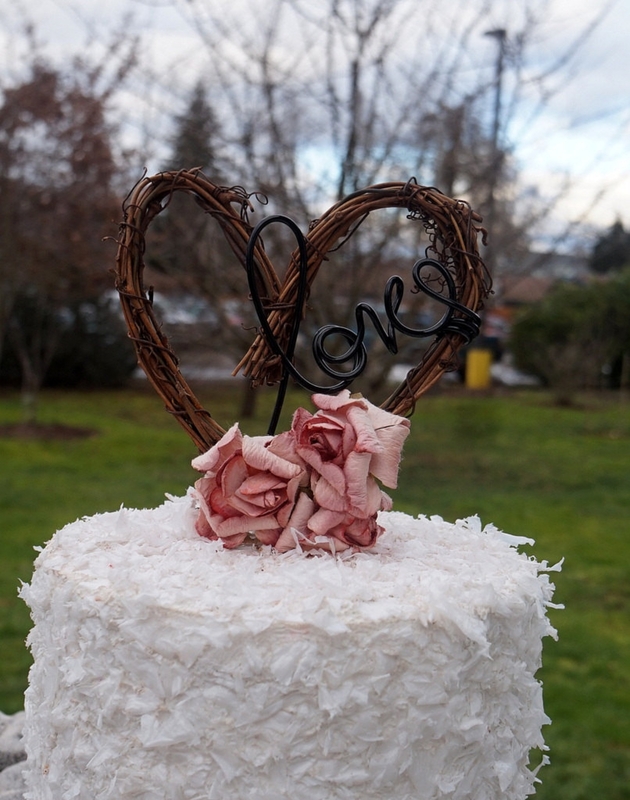 My handcrafted rustic cake topper with love script detail and flower accent is just right for your rustic reception. 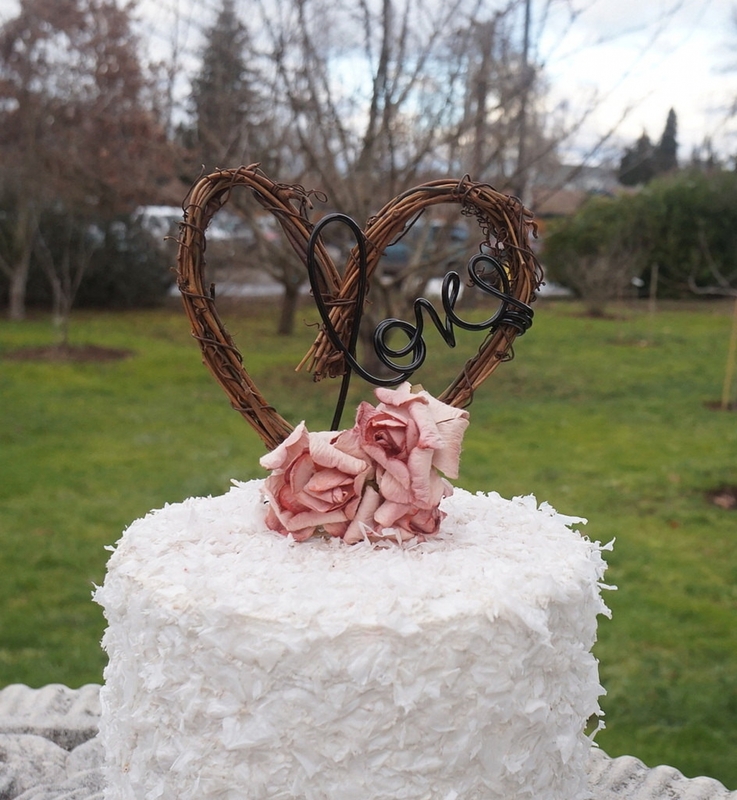 Made to order from grapevine, paper flowers and non tarnish wire, it is a great choice for a vineyard or winery wedding.